Open to Quakers and non-Quakers, for Summer 2014. Application deadline: February 15, 2014. For information on applying, visit CFSC or email them for more information. We bless the memory and service of Frank Miles, who died on December 25 at age 90, after eleven years at Kendal, Hanover, New Hampshire. He served as a conscientious objector during World War II, and later with the Friends Ambulance Unit in China. 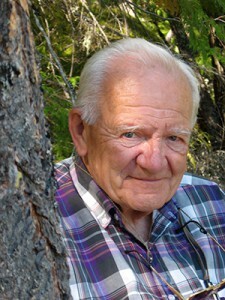 He was General Secretary and Treasurer of Canadian Yearly Meeting from 1983 to 1989, and upon retirement settled with his wife Pat, near family and near Argenta Friends Meeting. His family may be contacted at Milesfamily@quaker.ca. Events in 2014 start January 15 with ‘An Introduction to Quakerism’, 6:30 to 8:00 p.m., and continue February 19: Quaker Faith Through 350 Years. Open to all. Learn more at info@halifax.quaker.ca.